How can foreigners make ‘Russian’ goods? The criteria for the definition of domestic products will soon appear in Russia. These new regulations will define the level of localization necessary for the production of goods on the domestic market for manufacturers. Foreign companies that meet the criteria of “Russian-ness” will be able to gain access to public procurement and tax exemptions. The Russian Ministry of Industry and Trade has developed criteria that will determine the rules for the domestic manufactures of goods. Each industry will have its own individual indicators. The criteria will be defined for eight industries – medical equipment, pharmaceuticals, electronics and microelectronics, machine tools, automobile production, special engineering, photonics and lighting technology, as well as electrical tools and power industry. “At the moment, a significant part of these products is purchased abroad,” says Anton Chernyshov, an analyst at Gazprombank. Chernyshov said that imports of electronics and electrical engineering equipment in monetary terms amounted in 2014 to $15.8 billion, while medical equipment imports totaled $3.9 billion. According to the Ministry’s proposal, the percentage of foreign materials and components in the price of the final product should not be above 50 percent. For some types of products the percentage of foreign materials could be as low as 18 percent. For example, ultrasound machines should be assembled, adjusted and packaged in Russia. There are plans for the production of tomographic scanners to become significantly more localized. The mandatory requirement is the local production of four kinds of components, as well as testing and calibration. However, the plan for the production of drugs is to have them almost entirely locally made. This would include the production of both the substance and the dosage form: tablets, solutions, and syrups. The same will apply to bank cards, SIM cards and integrated circuits. “The new demands of the level of localization of production indeed could stimulate foreign manufacturers to open production facilities in Russia and, in theory, could lead to an increase in the inflow of foreign capital into the economy,” says Kira Yukhtenko, an analyst with FBS brokerage company. However, Yukhtenko added that continuing political tension is not conducive to improving the overall business climate. “The main motivation for foreign companies to enter the Russian market today is a cheap labor force and the high level of education,” says Chernyshov. He says that the average wage in Russia today is on par with that of the urban population in China – about $700 a month after taxes. 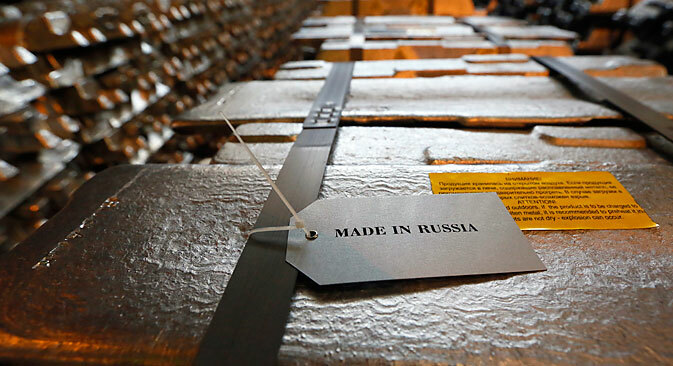 The Ministry of Trade and Industry’s press service told RBTH that the products of foreign companies would be considered “Russian” if such companies localize their production in accordance with the new requirements. “Large amounts of public procurement create a guaranteed demand, especially for niche products,” Yukhtenko notes. The expert specifies the market for medical products as potentially the most attractive for manufacturers. The volume of this market exceeded 200 billion rubles ($ 3.6 billion) in 2014, with 70 percent of the demand provided by state procurement.